Old Dog, New Trick: Coca-Cola gets sweet on water conservation. When water makes up almost 90 per cent of the product that you produce, even the smallest conservation effort can make a difference. When you’re a corporation with global reach that sells 1.7 billion servings every day, that same commitment to conservation can change the world. The Coca-Cola Corporation is making good progress. 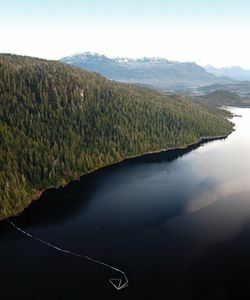 The company has already reduced its system-wide water use by 16 per cent since 2004, and intends to push that figure to 20 per cent by 2012. It implemented a system-wide water resource sustainability standard that requires each of the company’s 900-plus bottling plants to assess the vulnerability of source water for both the plant and the surrounding communities, while also participating in 320 community water partnership projects in 86 countries around the world since 2005. By the end of 2010, it is estimated that those projects will have replenished approximately 42.8 billion litres of water, the equivalent of 31 per cent of the water used to produce Coca-Cola beverages each year. In addition to its operational efforts to improve water conservation, Coca-Cola is using its commercial clout to stimulate change throughout its extensive supply chain. For example, it is the world’s largest purchaser of sugar, a crop that is hugely water-intensive, and in an effort to mitigate those impacts it is actively and aggressively supporting the Bonsucro Standard, a certification standard that measures the environmental impact of the sugarcane industry with a view toward reducing impact.